You are here:Home-Domain.com-What is a Domain Extension and Which One Should You Choose? What is a Domain Extension and Which One Should You Choose? Your business needs to put its best foot forward to reach all of the customers in your audience. With so many different domain extensions, or top-level domains (TLDs) available, how do you know that you’re choosing the right one? The right TLD depends on the kind of business, products or services you have, and how you’d like to differentiate yourself from the rest of the industry. Find out what TLDs work for your business, and learn to choose one that helps you grow. Like choosing from all of the types of cars available, the TLD for you is the one that best fits your needs. Generic top-level domains (gTLDs) are some of the most common names you’ll see, such as .COM or .NET. Sponsored top-level domains (sTLDs) were designed for specific groups, such as colleges or government organizations, such as the TLD .GOV. Country code domain extensions (ccTLDs) are reserved for area-specific organizations and include .US or .CA. Your TLD should convey your products and services, but also needs to be available. Since .com is the most common, there’s a chance the domain name you want is already taken. This is where more unique domain extensions, like .biz, .club, and .tech come in handy. There are hundreds of new domain extensions released every week, so you should be able to find an available domain name no matter what you’re selling. If you’d still like to use a common domain extension, it could help your company stand out as a leader within your industry. .COM – The most popular TLD around, this was originally designed for commercial businesses, but can now be used by any individual or organization on the internet. .BIZ – Designed to be used by businesses, many companies that tried registering a .COM domain name end up with a .BIZ domain extension after their first choice is already taken. .ORG – Most commonly used for nonprofit organizations, this domain extension has since grown to be nearly as ubiquitous as .COM, and may be used by anyone. .NET – Much like .ORG, this domain extension has extended into a catch-all TLD, but it was originally intended to be used as a tool for maintaining network infrastructure. .GOV – Unlike the domain extensions above, the .GOV TLD is still restricted, meaning only government organizations are permitted to use it. .MOBI – Often a company or organization registers their domain name with a .MOBI TLD if they’re showing a mobile-only version of their website. .US (or other country specific domains) – You’re likely to only see ccTLDs that match your home country. These are restricted, and may only be registered by a company or organization that resides within the same country. For example, only US companies may register a .US domain name. Like the color of your shirt, different domain extensions don’t change how your website functions on the internet, but simply change the way it looks. 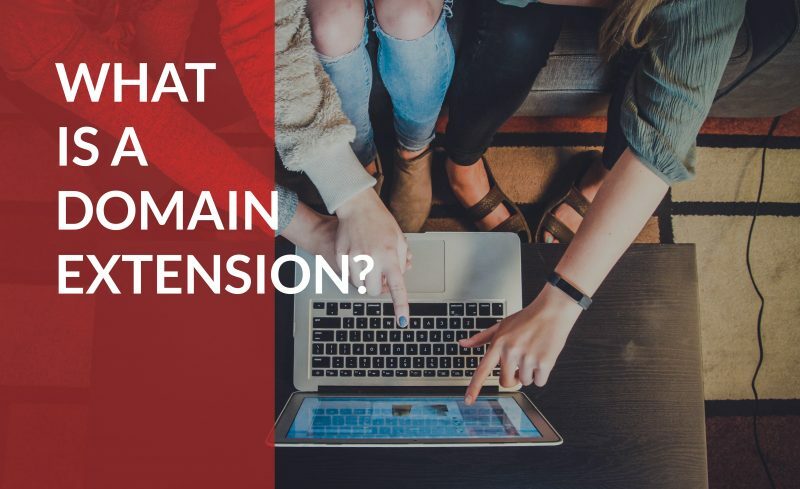 Many large businesses prefer a .COM domain extension to show that they’re successful enough to afford a premium domain, while other companies choose a niche-specific domain extension. For those companies representing a niche, domain extensions like .SPACE can help reassure your customers that you’re the expert that understands them. You can also use your niche TLD in a creative way to create a domain name that truly stands out. For example, using the domain name BrewBetter.beer for a craft brewery instead of BrewBetter.com. No matter what domain extension you choose, you want the one that bests present your business to your customers and show that you’re the expert. There are so many domain extensions to choose from, so finding one that helps you stand out should be simple.